Intravenous or IV infusion therapy is a great alternative when you want to avoid surgery, but haven’t had any luck with other treatments for your pain. IV therapy can be used to treat a variety of conditions too, with your NYC pain management doctor choosing the IV treatment that’s right for you. IV hydration is a great option for New York athletes who need help with their hydration therapy. Our sports injury clinic in NYC is certified and approved. We are among the best pain management clinics in New York and the region. Infusion therapy — frequently referred to as an IV infusion, IV therapy and IV infusion therapy — refers to treatments that are injected directly into your bloodstream through an intravenous (IV) needle. The IV treatment usually is prescribed by your sports and pain management doctor in Midtown Manhattan when oral medication isn’t doing the trick. As a board-certified anesthesiologist, your physician has extensive experience treating and working with patients to help them remain healthy, maintain their competitive edge and aid in healing when they need it. 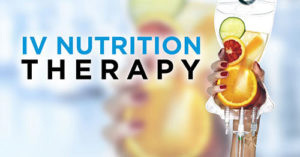 Hydration therapy, through drinking sufficient fluids and eating water-retentive foods, is a well-known technique among healthy athletes who know how to take care of their bodies, prevent cramps and avoid dehydration. IV hydration therapy, although not as well-known, is an effective way to rehydrate following a grueling competition, as well as a good way to pre-hydrate before you compete. If you are a high-level athlete in Manhattan who may have a sensitivity to drinking enough fluids to keep you hydrated, IV hydration through your sports medicine doctor may be just the ticket for you. IV therapy to treat chronic pain is a viable alternative when you have trouble taking oral meds or need to increase your dosage under supervision. With the guidance of your NYC doctor, you’ll understand your options and how the process works. An IV infusion may take anywhere from 15 minutes to 30 minutes to complete. An IV is inserted in your arm and you’re made comfortable while the medication slowly drips through the needle. Rarely do you feel any pain or other sensations during the infusion, although you may feel a slight tinge at the site of the injection, easily treatable with ice when you get home. When your IV infusion is complete, you get a small bandage or dressing over the site where the needle was. Leave it in place for about 30 minutes. If you’re on blood thinners, you may be instructed to keep the dressing on longer. Your doctor ensures the infusion staff has all your personal instructions. Usually, your doctor recommends that you don’t eat for about eight hours before you undergo an infusion, especially until you’ve discovered how your body reacts to IV therapy. You should arrange for someone to take you home because you shouldn’t drive for about 12 hours after your infusion for pain. In most cases, you can return to your normal activities the next day — very often even the same day. You may respond right away and receive relief from the first treatment, or it can take several IV infusions to get you on the healing path. And while some people receive no benefits from it, studies suggest that as many as 70 percent of people who undergo IV infusion therapy see a marked improvement in their quality of life. Do you have any questions about the infusion therapy for pain we offer in NYC? 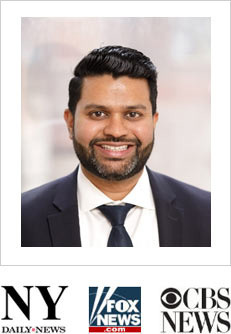 Would you like to schedule an appointment with the best rated pain management doctor Febin Melepura MD of sports pain management clinic NYC? Please contact our office for consultation with the top pain relief specialist in Midtown Manhattan.